It’s possibly been the biggest promotion KFC has ever done. The Dragon Ball Z bottles are a Japanese KFC exclusive and have been selling online for ridiculous prices. 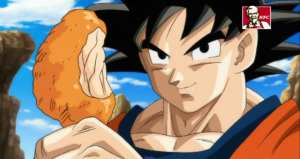 With the new Battle of Gods movie out this month KFC have launched this new commercial to help promote the offer in its stores.